Do Hyun Woo thought his life was going pretty well until he discovers that his college sweetheart and wife is cheating on him. Devastated and not wanting to tell anyone about his situation, he turns to an online message board and its netizens for help. From the discovery to the aftermath of his wife’s affair, Hyun Woo chronicles his thoughts and feelings online for the world to see. Together with these anonymous commenters and his actual friends, he must now figure out how to move on after this betrayal. Thank goodness this drama was only twelve episodes long. Any longer and I don’t know if I would have been able to maintain the discipline or interest to finish it. My Wife’s Having an Affair This Week is the second kdrama that I’ve watched in recent years that features a cheating wife storyline, and I was disappointed both times. (The first was Valid Love.) I go into these dramas thinking it’d be scandalous and melodramatic, but they always turn out to be so incredibly slow and boring. And with My Wife, I was tricked even more by the promos that this would be lighthearted and comical. Not the case at all. On the contrary, My Wife’s Having an Affair This Week is a detrimentally slow drama that contains very little substance, and takes the online message board gimmick just a bit too far. My biggest criticism of the drama is how unsympathetic the main characters are. Clearly the husband, Do Hyun Woo, played by Lee Sun Kyung is the victim here, but I could never muster up any real sympathy for him. It’s to no fault of the actor, whom I thought did the best he could with the character. Hyun Woo was simply written as the stereotypical inattentive husband, but not enough for the audience to think he ever “deserved” getting cheating on. Which then brings me to my next issue: the cheating wife. Jung Soo Yeon acts so unremorseful about the affair for the majority of the drama. That only made any type of reasoning or justification for her infidelity completely unacceptable. (And her reason for cheating really was dumb.) I don’t even know whether I should blame the terrible writing for this character or Song Ji Hyo’s acting for how dislikable the wife was. I’m inclined to say both. For a relatively short drama, twelve episodes somehow still seemed too long. There simply wasn’t enough plot to go around. Everything moved so slowly with the main storyline about the affair that I lost interest and actually cared more about the secondary characters. My Wife had too many episodes where the main couple would circle around each other and the same issues over and over again. The most “exciting” parts of this drama were 1) when Hyun Woo tracks the cheating couple to the hotel and 2) when Soo Yeon’s identity was almost revealed online. Everything else about this couple I could have done without. Maybe that’s why there was so much unnecessary focus on the random netizens commenting on their relationship. 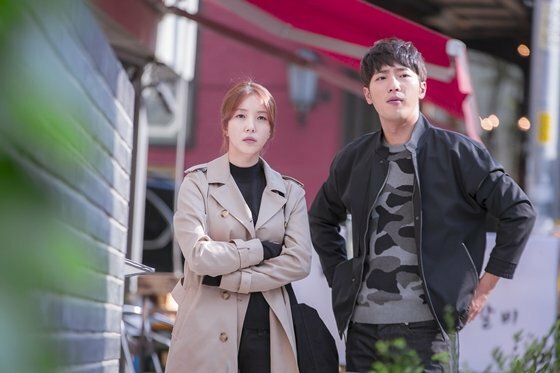 One lone bright spot in this drama was the pairing of Lee Sang Yeob and BoA as the secondary couple in all of this mess. 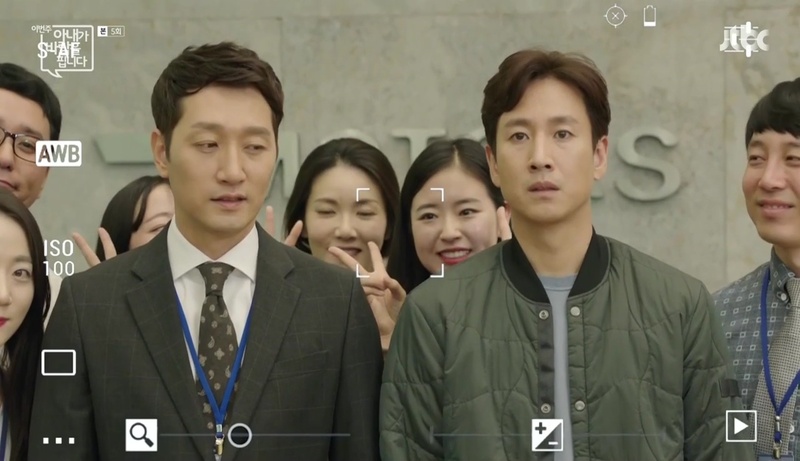 I was so mesmerized by Lee Sang Yeob’s portrayal of a sympathetic serial killer in Signal earlier this year that it actually took me a few episodes to buy into his goofy, romantic character in My Wife. This guy’s got some nice acting range! BoA’s natural acting was also a pleasant surprise because most kpop idols turned actors usually never go well. Together, they made for a charming, fun couple that I wouldn’t have minded seeing more of. My Wife’s Having an Affair This Week really was an infuriating drama to watch. There’s no other way to put it. The writers overt attempts to characterize the cheating wife as sympathetic really turned me off. The portrayals of these supposedly “modern relationships” just didn’t have enough depth or relatability to them. Also, this drama has further convinced me that Song Ji Hyo doesn’t know how to pick good roles. First it was Ex-Girlfriend Club, and now this. Sigh. Besides the Lee Sang Yeob-BoA couple, My Wife’s Having an Affair This Week really isn’t worth watching. My Wife’s Having an Affair This Week is a remake of a 2007 Japanese drama of the same name. The story is based on a real life incident. Prior to her starring role in this drama, BoA only appeared in cameos besides a roles in the 2-episode KBS miniseries, Waiting for Love (2013). Song Ji Hyo most recently appeared on the Chinese reality show, We Are In Love. In this remake of the Korean show, We Got Married, she was paired with Taiwanese actor, Bolin Chen. She’s also a permanent member on the Korean Running Man. I watched the first 5 episodes and didn’t bother to continue. Some parts made me cry and get angryy and were sad but the plot did move incredibly slow! !